It's been raining and cool lately. Don't for one second think that will keep us out of the pool, though. Nobody needs this pool therapy more than Zack. So no matter how cold it is, I encourage him to get in because when he gets out, he seems so calm and relaxed. The other kids help me cheerlead him - we all clap and yell "Go Zack Go! Go Zack Go!" and he loves it when we do that. He prompts us to cheer for him some more, when we stop. 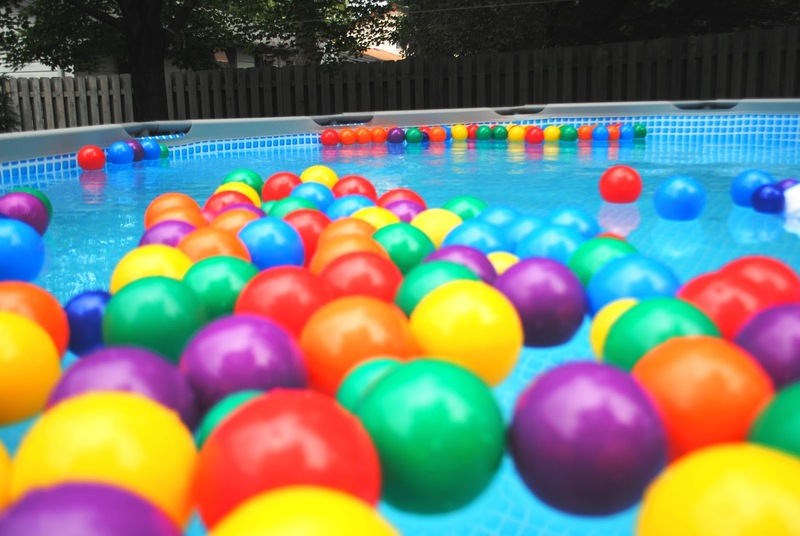 I collected all these ball pit balls over the past year or so, intending to make a ball pit in the basement - and I'm still going to - but for now, the balls are super fun in the pool. They make it feel like a real party pool!